Tour departs from and returns to Oak Bay Municipal Hall. Join Oak Bay Arts Laureate Barbara Adams and visual artist Robert Amos for a guided tour of the 2018 ArtsAlive sculptures situated along Oak Bay Avenue and the Oak Bay Village area. Free to attend, advance registration required. 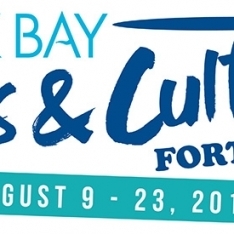 To register, call Oak Bay Parks, Recreation, and Culture Reception at 250-595-7946 and request course #33769.